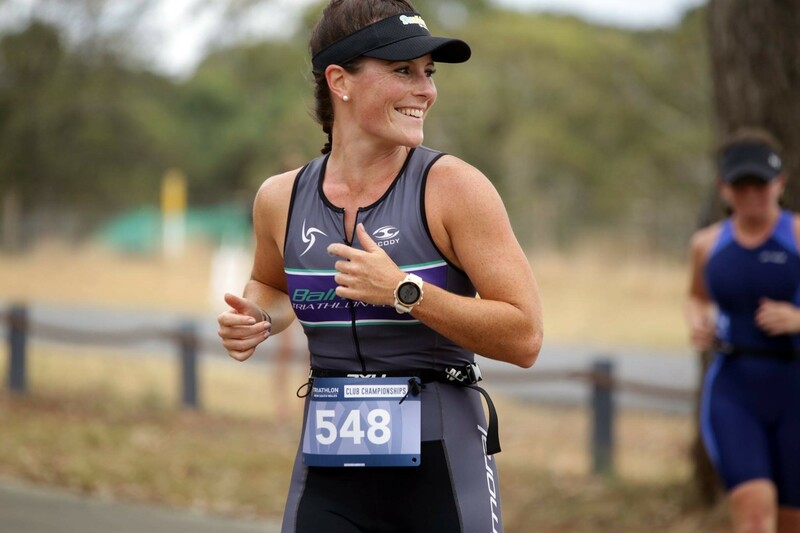 The Sydney Tri Giants made it two wins in a row, as they followed up their success at the Nepean Triathlon with an impressive display at the Kurnell Triathlon to put them in charge of the Sydney South East Interclub Series. The Giants once again turned up in good numbers and enjoyed plenty of individual success. 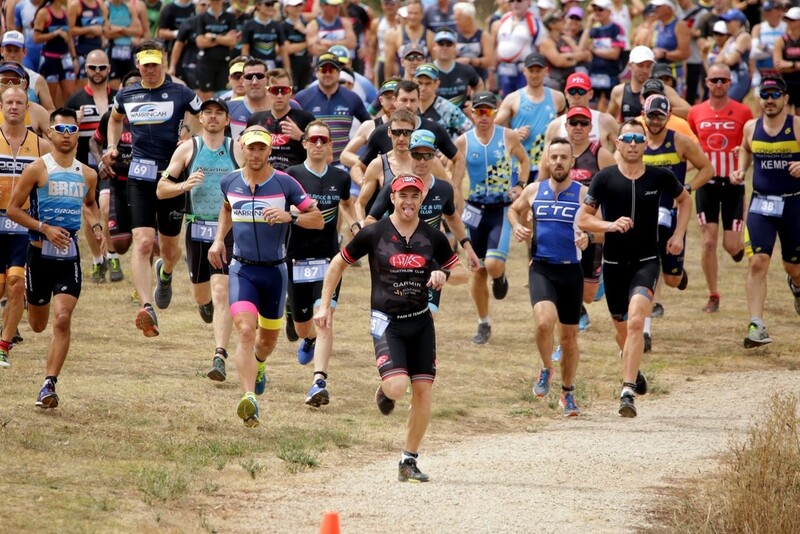 Sam Douglas was the fastest of any athlete on the day to secure maximum Performance Points in his AG and add another Kurnell title to his resume. Alex Nixon and Cathy Verry both raced to fine podiums with fellow Giants George Miller, Luke James, Daniel X James, Dima Postnikov, Michael Barnfield and Cassie Donovan also securing Performance Points for their top 10 finishes. The Coogee Comets came closest to slowing the Giant’s momentum as they finished second at Kurnell, 4 points behind the Giants on the day, jumping to second on the Sydney South East Interclub leaderboard in the process. Loren Lane was once again in the points as she finished 4th in her AG, as did Sophie Grossman and Peter Waldron in theirs. Naomi Reynolds, David Cannell, Russell Newmarch and James Trevorrow turned in good performances to finish in the top 10 of their age groups. There was also a fine 3rd for Edward Vining, with the stand out performance coming from Grace Musgrove who was victorious in her AG. Bondi Brats turned in their best performance of the season so far to finish in third place at Kurnell, just .5 of a point behind the Coogee Comets. 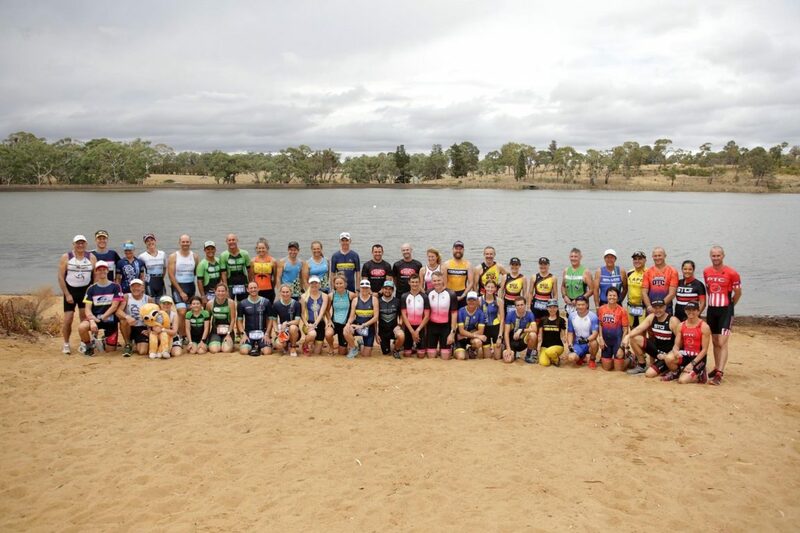 Paul O’Doherty repeated his Nepean success by once again winning his AG, as did Kate Rowe and Shaun Anderson to really kick start the Brats Sydney South East Interclub season. Oliver Nicolle, Eline Smit and John Wholley also secured Performance Points with top ten finishes. The Eastern Suburbs Swans enjoyed their best return of the season to pick up 10 points which was good enough for fourth on the day. Claire Crennan picked up maximum points by winning her AG with a terrific performance, Tsumi Smith finished runner up in hers and Francoise Coirier managed an 8th to round off a strong outing for the Swans. The Australian Chinese Dragons continued their fine start to the season with 6 more valuable points to finish fifth at Kurnell, just ahead of the Brighton Polar Bears in sixth and the T4 North Bondi Tritans in seventh. In their first appearance of the season, the Brighton Polar Bears made their mark with a 3rd placed finish from David Sullivan in the 50-54 Male AG. Tony Golden once again in the Performance Points for the Tritans with a fine 4th following on from his strong performance at Nepean. Will the Sydney Tri Giants be able to repeat their impressive Nepean performance this weekend to open a gap at the top? They did and they have. A 7.5 point gap can disappear very quickly but the Giants will be delighted for now. 2. Will this be the round where the Bondi BRATS make their move? Yes, it was. A great performance by the Brats has brought them back into contention for title honors later in the year. With a 2nd at the Sydney Olympic Duathlon and a 3rd at Nepean, can Coogee win their first event of the season? Not quite. It was another 2nd for Coogee but consistency is key and Coogee have it in abundance. The clubs head back to the Sydney International Regatta Centre for the Hills Garmin Series sprint race on December 8th. It is the last hit out before the Christmas break but during a congested and busy festive run in, points could be down meaning any representation could prove vital.